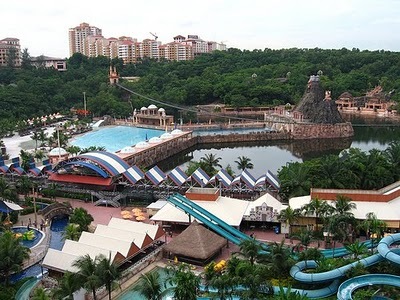 The first ever international standard theme park in Malaysia, Sunway Lagoon Theme Park is located in Selangor, Malaysia. 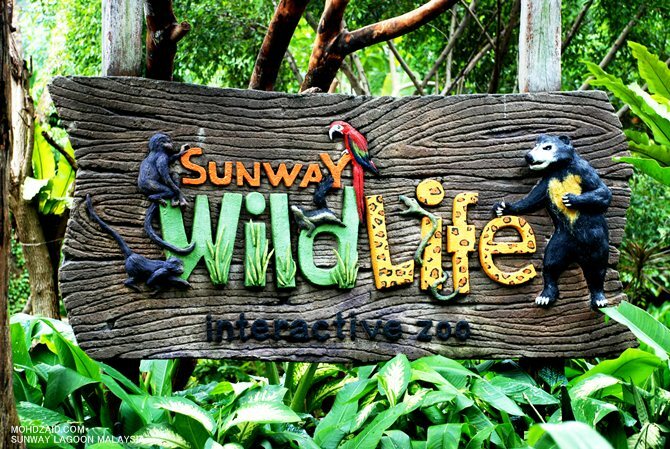 It is situated in Bandar Sunway, Petaling Jaya. It is located as far as a 30 minutes ride from the capital of Malaysia, Kuala Lumpur. The 80 acres theme park was established in the year of 1992 and was officially opened by Malaysia's former Prime Minister, Tun Mahathir bin Mohamad in the next year. Since then, the park is so popular that it attracts 2 million visitors from every corner of the world annually. The amazing theme park possesses one of the world's largest men - made surf beach and also, the world's longest pedestrian suspension bridge. All kind of different wet and dry rides are available in the park. The most popular water - based attractions including giant water slides, lagoon express and twin speed slides. 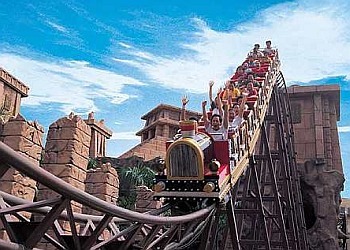 The theme park is mainly divided into three major sections, namely the Wild Wild West, Waters of Africa and the World of Adventure. Apache Red Indians and cowboys are to be seen round when you are strolling in the park. There are quite a number of rides in that very section such as Niagara Falls Flume Ride and Grand Canyon River Rapids, just to name a few. 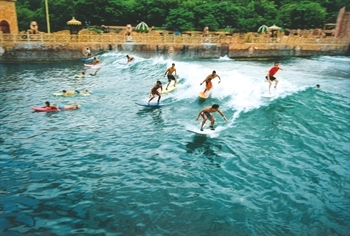 Waters of Africa is quite popular as it is the only Africa-themed water park in Malaysia. One of the many interesting attractions in Waters of Africa is the rolling surf pool sandy beach as it is made out of more than 6000 tonnes of sand. The six - laned Congo Challenge is too, another popular ride. Here comes the World of Adventure. The name says it all, no? The major attraction is the 428m long suspension bridge that offers you a bird eye view of the Sunway Lagoon Theme Park. There is also a 360 degrees rotating ride. The ride through the City of Gold is fascinating too as bobby traps and tarantulas are all in the tunnel. There are more little parks within namely the Wildlife Park, Extreme Park and Scream Park. 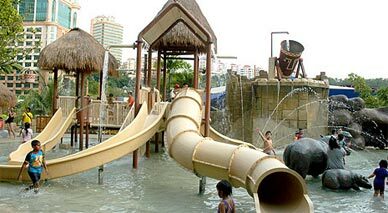 Sunway Lagoon Theme Park is the ideal place to spend some quality time with your love ones and families as the park is suitable for all ages. 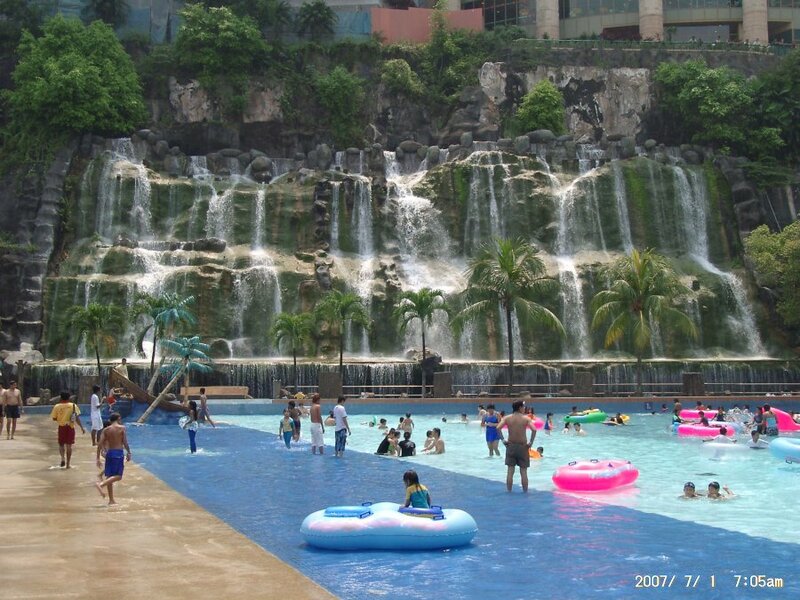 Apart from all the get - wet activities mentioned, there are more activities await you. They are Bungy Jump, Paintball War Game, Go - Kart and more. Moreover, there are private sessions of body boarding and surfing available. There are a few alternatives in getting to the park. Besides driving yourself to reach the park, you can also take the public transport. Take the KTM and stop at Subang Jaya Station. From there, take the cab to Sunway Pyramid and you can see the Lagoon. You can too take the PUTRA Kelana Jaya LRT and stop at the Kelana Jaya Station. Then, take the Rapid KL bus T 623 to Sunway Pyramid.